Dave Zabriskie has promised Planet Quirky and interview which will be posted here and at The Church of the Big Ring. Probably not likely until the ToG is over. The boys in Argyle threw the hammer down on the hot asphalt yesterday for a win. Hopefully these train robbers can keep it up. I, for one, am jealous of 80 degree temps in GA. Looking back it was 88 degrees in late April last year in Salt Lake. Feels like it’s been 42 forever. I just gave Questar Gas nearly $300 for a spring heat bill. Jeeezz. 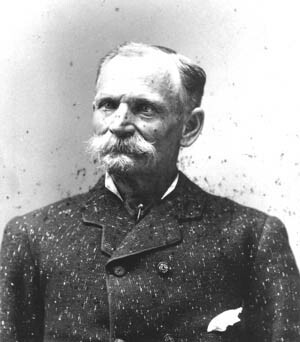 . .
One of the most unusual stagecoach robbers in American history. There is no record of Bart every firing a shot in any of his robberies. Bart, however, was not so lucky. During one robbery a bullet shot at him grazed his head and left a scar. In his final robbery he was shot in the hand. When Bart was arrested he was using the name Charles E. Bolton, the name under which he had been living for years in San Francisco. When he was booked, he gave his name as T. Z. Spalding. However, Bart’s real name was Charles E. Boles. Bart was tried, convicted and sentenced to San Quentin prison. He served his time, was released early, then disappeared without a trace.